Classroom and online training for ISO Management System awareness and auditing is categorized here. You can learn all about various ISO certification, ISO system implementation, product certification, ISO internal auditor training and get certified for same. We prepare courses like Lead Auditor and Transition Training on above subjects as per customer needs. Join our growing global community of over 25 million learners. ISO 50001:2018 awareness and auditor training kit contains more than 180 editable ppt slides. These editable ISO 50001 ppt presentation slides address all elements of energy management system. My first online course experience and it was pleasant to attend PAS102. I found the course to be very thorough and covered all aspects that are needed to carry out auditing. I was very happy to be able to complete the course online. I enjoyed being able to complete the course at my own pace. The support from Punyam Academy team has been great. Thanks! Excellent training at Punyam Academy, friendly atmosphere and lovely staff, highly recommended. Voice enable presentation gives me filling like live training, which saves my time. Best place to go for ISO/IEC 17025:2017 Internal Auditor training. I have attended classroom training and found them extremely beneficial and enjoyable. Trainers are very understanding and knowledgeable. I appeared for ISO 45001 auditor training course. Highlight of this course is good audio visual presentation, study material to download as well as exams to review my knowledge. Congratulations to Punyam Academy team for providing best knowledge sharing platform online. Achieved ISO 9001 internal auditor certificate, looking forward to enrol next auditor course very soon. The course more economical compared to classroom training and flexible timings make it more recommendable. Looking forward for more complex courses like PMP, IRCA certified courses etc. I am highly satisfied with your course on food safety management system. Now I am fully aware about FoSTaC requirements and appreciate efforsts of Punyam Academy throughout the training session. The training materials given by Punyam Academy experts proved to be very useful in managing our own requirements. We appreciate trainer's knowledge and efforts in delivering good sessions. All the best for upcoming training programs. 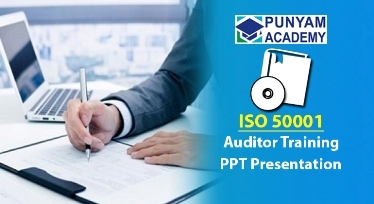 I am happy with the certified ISO/IEC 17025:2017 auditor training course at Punyam Academy. Now I am fully aware about ISO/IEC 17025:2017 transition auditing and quality management requirements for testing laboratory. Thank you Punyam Academy for providing me world class learning at affordable cost. Trainer has very good knowledge about subject. Training environment & facility at training center is exceptional. A great step has been taken by organizing Food Safety Training and Certification (FoSTaC). This knowledge sharing will only bring all the business motive together of common standard, quality and good healthy surrounding. My India is growing - Keep it up Punyam Academy. Attending FoSTaC training course for food safety management system is awasome experience. Now I am fully aware about food and quality management requirements in food manufacturing organization. Attending classroom training at Punyam Academy was a wonderful experience. I got the opportunity to learn FSSAI requirements as FoSTaC training from experienced instructors. A comprehensive, convenient and affordable way of training and certification under expert guidance. © Copyright 2019 Punyam Academy - All Rights Reserved.